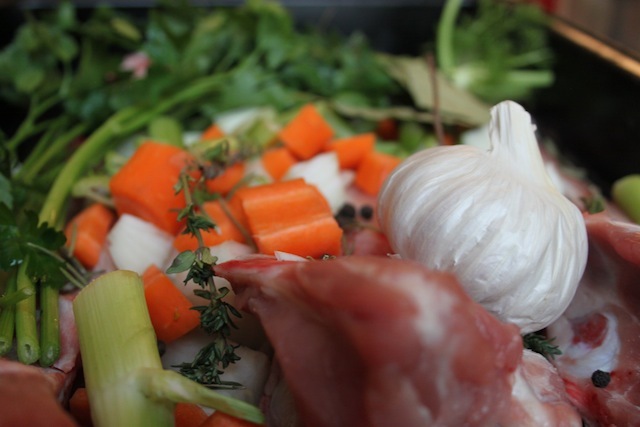 On Disasters and Finally Finding Pig Tails – Eat Me. Drink Me. The first thing to happen was that the bell fell off. So there I was, seconds after finally reconnecting with my Little Hercules, my beloved and somewhat broken Berlin bike, scouting for my broken-off bell in the middle of the road and trying not to get hit by the oncoming car. It was a success. If you count riding a gearless bike with a screwed-on bell down a potholed Berlin road a success. I’ve been thinking about disasters that turn out ok recently. Burning sugar and ending up with Christmas cocktails instead of surfer juice. Mixing the cauliflower with the batter before reading the recipe to find out that the florets are meant to be dipped and deep fried – then finding out that the ensuing fritters were great. And myriad other failures that just either weren’t so bad or turned out to be surprisingly nice. 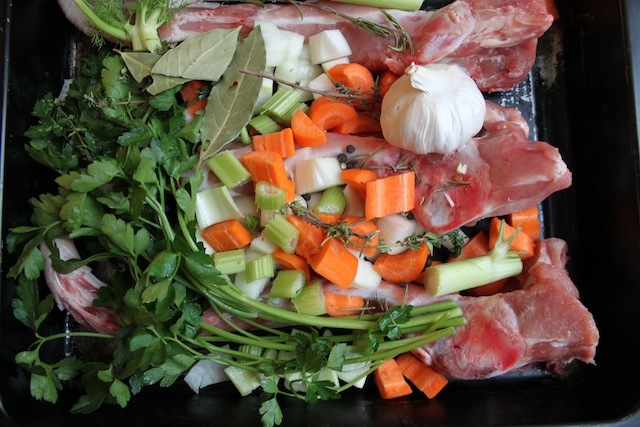 A few months ago, I realized a long-term goal of mine: cooking pig tails. And here’s how this relates: it wasn’t really a success. I’ll be honest, I was actually even a little let down. 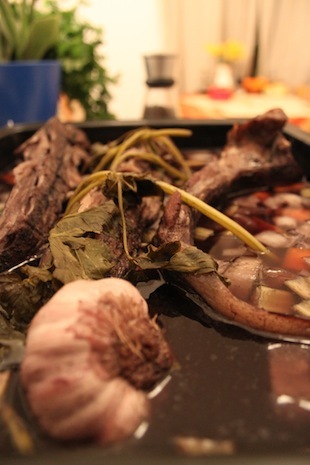 But what made it ok was that I’d wanted to cook pig tails for years and finally, finally I found them. The search for pig tails started in Brooklyn. 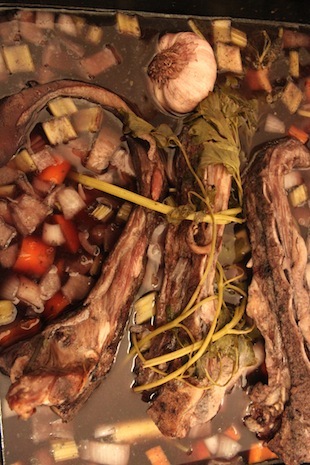 I was neck deep in a Fergus Henderson love affair and getting excited in the way that only weird ones do for strange things like offal and bone marrow, dried, salted cod and kidneys. What was great about living in Brooklyn was that these strange things were strangely easy to procure. Salted cod was sold by the bin-ful at my neighborhood supermarket to make Dominican bacalhau, and you could buy everything from brains in a bucket to bull testicles at the nearby Carniceria. 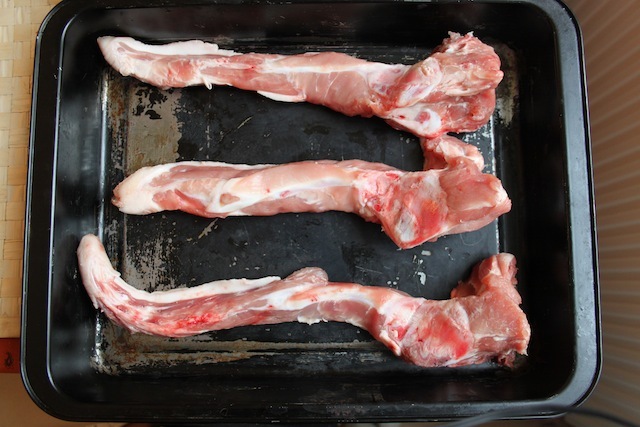 So when I read Fergus’ recipe for “Crispy Pig Tails,” I thought, no problem. I’ll buy them down the street. But down the street, at the Carniceria, the butcher laughed at me. “Pig tails? Who eats pig tails?” Who indeed, I thought, staring at the head of lamb staring back at me. I left with a large and disconcertingly taste bud-ed tongue (which was also a disaster that turned out ok…), but I never forgot those pig tails. The pig tails have haunted me these last two years. Sometimes more, sometimes less, but I’ve never forgotten them – and I’d never seen them anywhere. That is, until I wandered into the Russian grocery store just down the street from my current Berlin apartment. When I got home, my roommate couldn’t understand my excitement. “Pig tails? Who eats pig tails?” she said. Only crazy people who like to cook weird food. Clearly. Here’s the short story of the pig tails. They took me all day to cook. 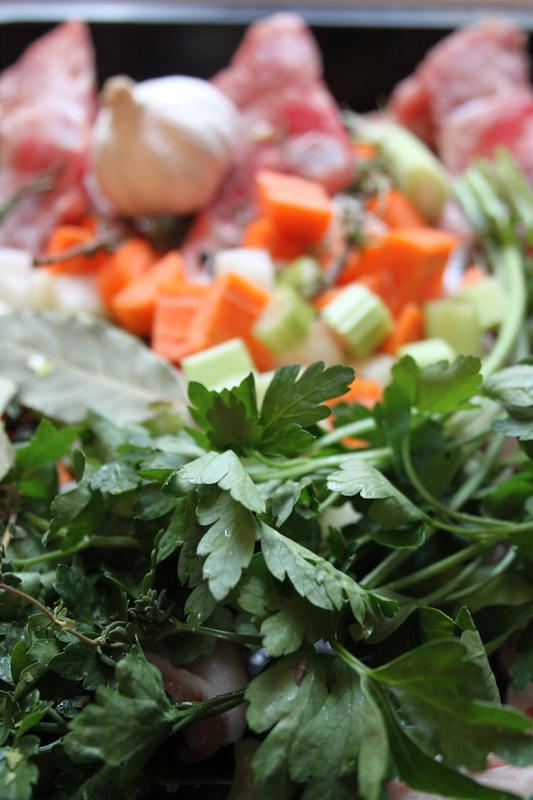 I braised them for hours in a broth of vegetables, garlic and fresh herbs. Then I cooled them in the stock, removed them until they were cold and firm, then fried them with mustard, egg, and breadcrumbs. And when I ate them, they were… interesting. There were… good bits. And then there were strange nubs of cartilage with a disconcerting earthy edge. And the way it was still a bit tough. And the way it felt like nibbling on naughty bits. Let’s be fair, I could have cooked it wrong. But am I glad the pig tails happened? Absolutely. Would I cook them again? Probably not. Good tale :) Made me laugh. I remember your first post on pig tails. Also one on Ferguson. Maybe you want to cross-reference your posts?